Vodafone Espana who bought Airtel in 2002 and is the second largest mobile network in Spain. They have around 14 million customers. Orange Espana who bought out Amena in 2005. It is now owned by France telecom S.A. Orange has around 11 million customers in Spain and offers broadband, mobiles and TV. BT Mobile is a virtual network provider (they use the networks of Vodafone). They now offer broadband in Spain. Mobile telephones in Spain operate on the same principals as anywhere else in the world. They are predominantly pay as you go phones although all companies offer contracts whereby your call fees are taken from your bank on a monthly basis. 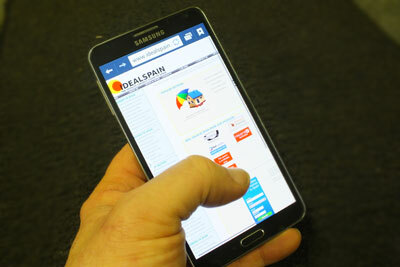 All phones in Spain are now digital and are available everywhere. They are considerably cheaper than the UK. When you purchase a mobile phone from a shop, it will be one of two options: It will either be tied to a SIM card and only useable on that card or it will be 'libre' which is open to all SIM cards. The 'open' phones are more expensive but this means that you are not tied to any particular company. It also means that if you travel abroad, you can simply change your SIM cards, depending on the country you are in. When you purchase a new phone you will have credit on the SIM card. This is usually more than the actual cost of the phone. This encourages you to stick with a particular company. Your Spanish bought mobile phone will come with a European 2 pin plug. You will need an adaptor to use in the UK or USA. If your UK phone is locked to a particular SIM card, there are dealers who will (although technically illegal), unlock your phone for a small fee (usually 10€). Look on the markets in particular. Prepaid and contract rate plans have two groups: hourly rates and universal rates. The cost of your calls will depend on when you call. Hourly rates divide the day into several time segments each with its associated price per minute. For example, for its prepaid users, Vodafone breaks up the day into 3 segments: 0:00-6:00, 6:00-16:00 and 16:00-24:00. Tariffs are much lower in the early morning and late in the day and are at their peak during business hours. Universal rates are simpler in that they offer one fixed rate regardless of the time of day, but this is on average higher. Call costs also depend on the destination. There are different rates depending whether you called a fixed line, to mobiles with the same company and to other mobiles. Calls to mobiles with the same operator are the cheapest while calls to mobiles outside that operator are the most expensive, so it can be worth finding out what operator your best friends use). charge around €0.12 to establish the call, charge around €0.15 per domestic SMS, unlike other countries sending a SMS abroad is not the same price! and charge 16% IVA (18% in Jan 2011) (value-added tax) on top of their publicised rates. If you are taking your UK mobile abroad with you, there is a cheaper alternative; You can purchase a Spanish SimCard and have it sent to your UK address. You simply use this whilst in Spain and will save a small fortune. You can save up to 90% on call charges and can purchase a pay-as-you-go SimCard or a monthly contract. You can go to most tobacconists, newsagents and supermarkets and on presentation of your mobile number, you can top up your credit. The credit is added to your balance almost immediately and you receive a text message confirmation. This applies to all other networks too. On your Vodafone mobile, dial *134# and you will receive a text message with your balance (saldo). Vodafone charge 0.12c for the text. Be aware that if you do not use your Vodafone SIM card for a period of time, your number may be deactivated and any remaining credit could be lost. This period can be as low as 3 months.